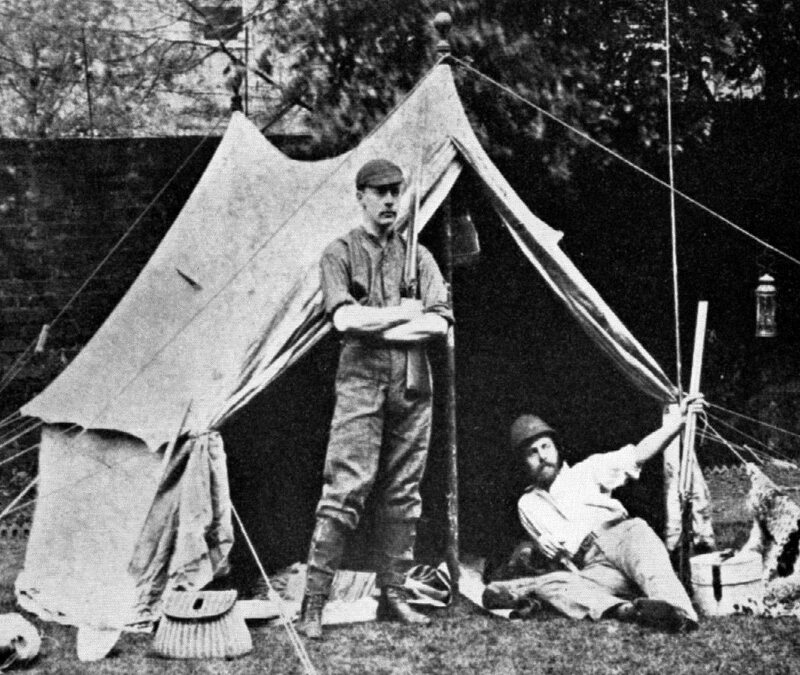 Randle & Clinton Holme in Brazil in 1885. In 1885, having just finished his second year studying law at Oxford University, Randle Holme decided to spend his summer vacation exploring the forests of Brazil. Randle Fynes Wilson Holme (1864-1957) had attended Sherborne School (School House) from May 1878 to July 1883. He was a scholar and in 1882 was Head of School (look for his name on the Heads of School boards in the BSR). Posted 13 June 2014 by Sherborne School Archives. Visit Sherborne School Archive News for more stories from the archives.